When anti-Semites attack “Zionists” they usually mean Jews. As Christians, this should be enough for us to rally to the defence of our Jewish brothers and sisters. But the church needs to wake up and realise that an attack on Zionism is also an attack on Christians. The silence from the church amid the current Labour anti-Semitism crisis is deafening. The respected Rabbi Sacks told the British public on Sunday morning television that Jews are now seriously considering whether it is safe for Jewish families to raise their children in this country. Meanwhile the church in Britain is standing on the side-lines. What is it waiting for? Many sincere church leaders in the UK hold the view that talking “Zionism” is a political subject that might cause unnecessary controversy and lead to division. Not talking about it, however, could be one of the biggest mistakes by the church so far this century. The church is silent because many have bought the lie that Zionism – the view that Zion is the homeland for Jewish people – is a political topic or worse still, a dirty word. It is a political topic when a person makes it one. Zion (mentioned 150+ times in the Bible) is in fact central to Christian faith and theology. Why not talk about it? Why not discover what God has to say about Zion, the place the Bible describes as God’s city? Jeremy Corbyn has repeatedly stated his position that anti-Zionism is not anti-Semitism. In his infamous defence in the Guardian, Corbyn said that “to assert that ‘anti-Zionism is racism’” is wrong. As has been widely stated, the term “Zionists” is commonly used by anti-Semites as a veiled an attack on Jews, which is why it must be included in the anti-Semitism definition and why Corbyn’s resistance on its inclusion is incredible. Others say “anti-Zionism” is not against Jews, but against the State of Israel. If they mean criticism of Israeli policy, then why not call it that? But what they usually mean is the “problem of Israel’s existence”, or putting it another way, “the presence of Jews in Israel”. This is anti-Semitic pure and simple. It is racist and evil and Christians should be at the forefront of speaking out against it. It’s worth pointing out that “Zionists” include Christians and others also. So an attack on “Zionism” is also an attack on Christian belief. The Church should be hurting right now. It should be calling into question how a view so central to our faith is allowed to be attacked. 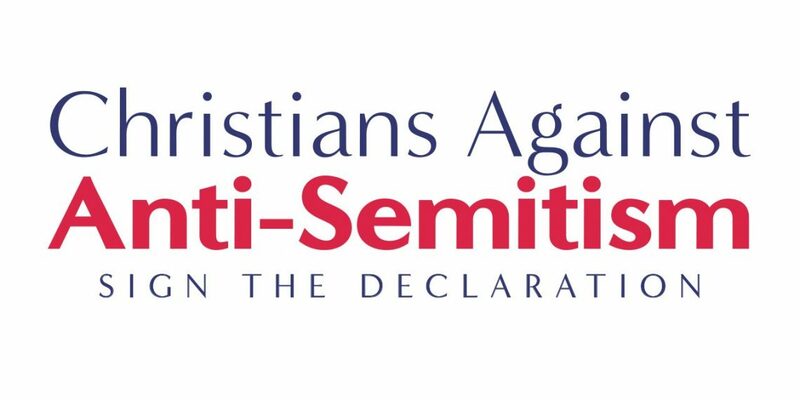 It should be defending the hundreds of thousands of Christians across the country who describe themselves as Zionists. It should be offended and bruised. It should feel an urgency to seek justice. But due to either silence or blindness it still only remains a “Jewish problem”. Any church leader that contributes to this kind of hatred should be ashamed. The damage caused by the delusional opposition by some within the church to Israel has consequences that may only be realised when the church becomes the next target of the same “flames of hatred” that have reappeared throughout Europe. The church’s silence on the current anti-Semitism crisis is a failure that the church may still have time to address. But time might be running out. It begins with a better understanding of Zionism. Here is a brief look at what Zionism means to Christians and why it should be preached in the church. By its organic definition, Zionism is the belief that the Jewish people have an indigenous right to live in the land of Israel. In a political sense, it supports the belief that Jews have the right to self-determination in the re-established State of Israel. It represents an indigenous people, persecuted and scattered throughout the world, returning to their homeland. But to imply that Zionism is solely a political issue is to ignore the Biblical foundation that underpins the ties that Jews have to the Land of Israel. Modern Zionism is not a colonial endeavour, as sometimes claimed by opponents. If it had been, the Jews would have left in a similar manner to every other colonial power that has set foot in the Middle East. But the nation of Israel is going nowhere. The reason is why Jews have longed passionately for the land which is indigenously theirs. It is why Jews over thousands of years have prayed towards Jerusalem. This is a land that has been longed for, fought for and defended. No attempt by Israel’s enemies is going to change the reality that Israel exists. 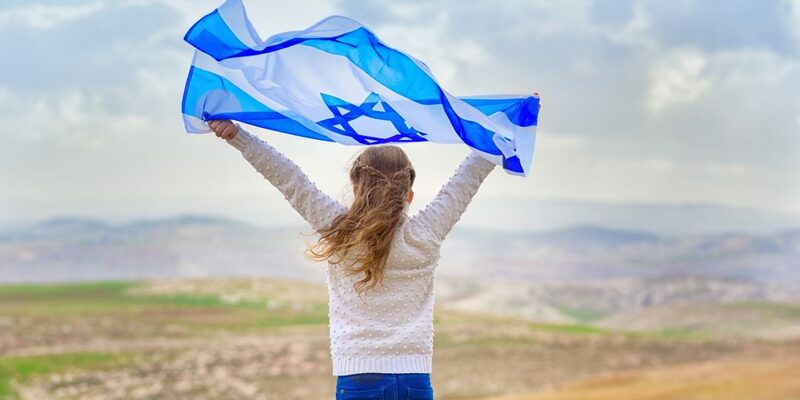 Israel becoming an independent state in 1948 was the result of the modern Zionist movement’s effort to secure a safe and secure homeland for Jews, but Jewish people had already started returning to Israel a Century before. If you believe that Jews have a right to live in the land of Israel, you are a Zionist. If Jews having a right to self-determination is political, then it became so when the “land” was promised to them 3,000 years ago. But note, the claim was not man-made, but rather granted by Almighty God. Taking this promise and bringing it down from heaven to a simple political narrative undermines the Sovereign authority of God. Those that deny the Jewish people’s connection to the land of Israel therefore deny the authority and accuracy of the Bible. Those that refuse to accept God’s promise to Israel, effectively place themselves in opposition to God. In the Bible, Zion describes the city of Jerusalem (Isaiah 40:9), the land of Judah (Jeremiah 31:12), and the nation of Israel as a whole (Zechariah 9:13). Zion also refers figuratively to Israel as the people of God (Isaiah 60:14). According to Psalm 87, the word “Zion” is a place that God loves. The Bible explains that Zion was not only where God was present and near to His people, but it became the source of deliverance and salvation (Ps 20:2; Ps 3:4). When the church sets itself against Israel, it ignores Biblical prophecy of the miraculous return of scattered Jews from across the globe to their historic homeland and opposes the will of God. “See, I lay a stone in Zion, a chosen and precious cornerstone, and the one who trusts in him will never be put to shame” (1 Peter 2:6). For Christians, Zion is not only held dear for being part of the Christian story, but is central to a Christian understanding of God’s future plans including the belief that Jesus will return to Zion as Messiah. The church must wake up to the fact that God’s love for Zion has not changed. It is difficult to imagine the Lord Jesus returning for a church that has denied the place that He loves. It is still at the centre of His plans. As Christians, remember that good things come from out of Zion. Good things. Beautiful things. Zion is not a dirty word. It isn’t a word to be ashamed of or avoided. It is a beautiful word. It is a place of hope. A place from which God will shine forth.